I mentioned in my other comment how I'm just discover D.E. Stevenson, Lyn. MRS. TIM GETS A JOB is being read at the moment (along with a couple of other books, but you know how that is) and I'm so happy to found Stevenson at just the right time in my life. As I said in MY other comment, sometimes an author comes along at just the right time. I'm just so pleased that Persephone & Sourcebooks are reprinting DES, although I wish they'd chosen different books! The Greyladies rediscoveries are also wonderful. I've turned into a D.E. Stevenson fan girl, Lyn. Ha. I'm reading all the Stevenson books in my library which will include THE ENGLISH AIR which I know you reviewed and loved. Just brought home that bunch today. 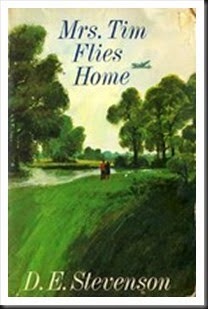 I think so far I've loved FLETCHER'S END, SUMMERHILLS and MRS. TIM CARRIES ON, best. But in truth, I've liked them all very much and am so happy to have discovered Stevenson even at this late date. Just got an email from the library that STILL GLIDES THE STREAM (I think that's the title) came in after I'd been there this morning and returned home! Oh well, I've plenty to keep me busy reading over the weekend. I get like this about authors sometimes. :) I owe it all to you, Lyn. Thanks once again for piquing my long overdue interest. I'm thinking of buying MISS BUNCLE'S BOOK and MISS BUNCLE MARRIES. Have you read those? We can both be obsessed together, Yvette! 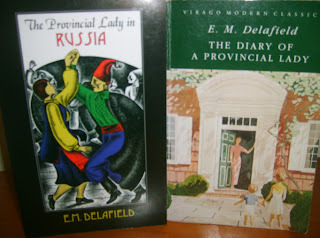 I've just finished reading Vittoria Cottage, my 5th DES in two months. Fletcher's End is on my radar for my next DES as it's available from Open Library. I've read all three Miss Buncles (the 3rd is The Two Mrs Abbotts, set in WWII), all of them published now by Persephone & Sourcebooks. I enjoyed them very much, I hope you do too.